On January 1, Vietnam’s controversial new cyber law went into effect. The sweeping legislation, which was passed by Vietnam’s National Assembly back in June 2018, requires global technology companies such as Facebook and Google to set up local offices in Vietnam, store all user data on citizens locally, agree to hand over any requested data to the state, and take down any content deemed by the ruling Communist Party to be “anti-state” within a period of 24 hours. It’s perhaps not surprising, then, that critics of the new cybersecurity law have been warning that it could lead to a clampdown on freedom of expression and free speech in Vietnam. Human Rights Watch, for example, called the new cyber law “a disaster” for freedom of expression. And the human rights group Amnesty International said that, if the Ministry of Public Security plans to enforce the law, there would be “no safe place to speak freely” within Vietnam. For now, it looks like political activists are willing to risk reprisals by the state in order to make their views known. A group of 13 civil society groups, for example, are circulating a petition called “Save Net” requesting the Vietnamese government to repeal or revise the law. The concern, of course, is that the Communist Party could use the new cyber law to muzzle its critics and effectively erase any negative or controversial statements posted about it online. That’s because social media platforms like Facebook have become important places where dissidents share their views, criticize the government, and connect with like-minded individuals in the real world willing to speak truth to power. The Vietnamese government has already clamped down on traditional media, looking to erase all signs of political dissent. Thus, the new cyber law is really the next step in a long series of steps, in which the Communist-run government has continued to impose its will on members of the media. Recently, for example, the Vietnam Journalists Association accepted a new code of conduct on their use of social media by its members. According to this new code, journalists are not allowed to post news, photos or comments that are seen as being anti-government. And it’s not just human rights activists and civil society activists who are asking the government to repeal or revise what they see as a very stringent law. For example, the Asia Internet Coalition (AIC) has argued that the new law would have a chilling effect on foreign investment in Vietnam’s tech sector and scare away any foreign startups thinking of doing business in China. Others have argued that the new cyber law would stifle digital innovation and set back Vietnam’s plans to become a digital powerhouse in the twenty-first century. 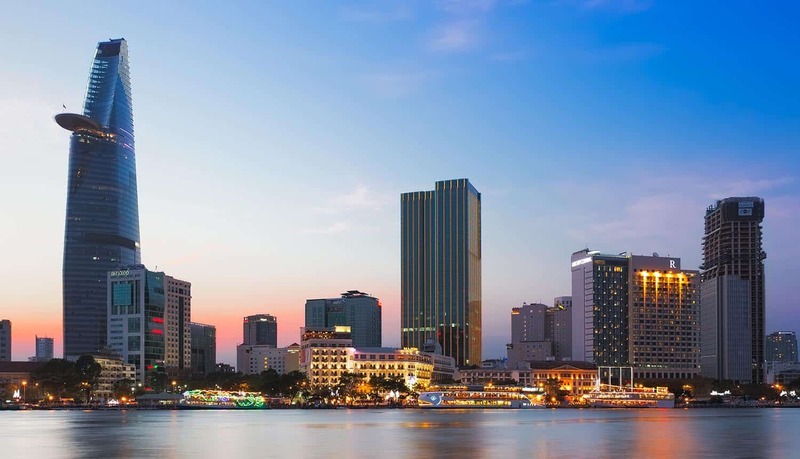 Companies in Vietnam, understandably, are concerned about what the new cyber law means for them, especially when it comes to electronic commerce, intellectual property and related legal issues. How will Facebook and Google react to the new cyber law? And yet, despite all these voices warning of the perils of the new cyber law, the global technology giants specifically targeted by the law – Facebook and Google – have remained strangely silent, even after seeing a draft decree late last year. Thus far, they have been careful not to comment directly on the law. And Google has even said that it might bow under pressure from the government and open a local office in Hanoi. Facebook, while not admitting that it would censor users, has said that its policy is to remove any content that violates Facebook’s standards. Some activists have picked up on the refusal of these two tech companies to fight back harder against the law, and even accused the two United States tech giants of being complicit with the Vietnamese government in helping to silence Internet users. For Facebook, it’s easy to see why the company has been so cautious about being pulled into a battle over freedom of speech. For one, Vietnam is now the company’s No. 7 country in terms of Facebook users. Vietnam may only have a population of 90 million, but 60 million of those people are on Facebook. In fact, Ho Chi Minh City now ranks as the No. 10 city in the world in terms of Facebook usage. Google, too, has reason to be cautious about entering into what could easily become a global discussion over freedom of speech. It has already had a similar experience in China, where it has been pulled into a contentious debate over its search engine practices. Simply agreeing to all stipulations by the government could result in severe limitations for users. The good news for the two companies is that they have until 2020 to comply with the cyber security law. This gives them nearly 12 months to figure things out and chart a course of action. Opening a local office in Vietnam is one of the easiest ways for them to comply with the law. But it is not clear if they will take the additional step of agreeing to store data locally as well. Theoretically, the government could seize all servers residing within Vietnam at any time if the tech giants do not comply with requests to remove offending content. Thus, setting up new servers within Vietnam is not just a logistical headache with the potential to increase costs of doing business – it also exposes them (and their users) to much more risk. If information about political dissidents is stored in California, for example, and not in Vietnam, it would be much more difficult (if not impossible) for the government to get its hands on this information. So what does the Vietnamese government think about all this? Given that Vietnam is a one-party state controlled by the Communist Party, the cyber law passed with more than 90% of the votes required. And government legislators say that the law does not contravene any existing international agreements or conventions that it has with other countries. They argue the new law will help them clamp down on cyber crime, prevent cyber terrorism and cyber attacks, and make the Vietnamese Internet a safer place to be. While that might be true to some extent, it’s easy to see that the true purpose of the new cyber law is to tighten censorship of the media and limit political dissent. For top tech companies like Facebook and Google, that poses a real moral dilemma as much as a business dilemma. How they decide to answer this question could have a significant impact on how similar debates are handled elsewhere in the world where governments view freedom of speech as a real threat.